617m2 Of Premium Vacant Land In Nusa Lembongan's Number 1 Cosmopolitan Hotspot. Home » Land » 617m2 Of Premium Vacant Land In Nusa Lembongan’s Number 1 Cosmopolitan Hotspot. 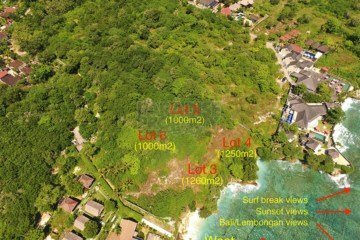 617m2 Of Premium Vacant Land In Nusa Lembongan’s Number 1 Cosmopolitan Hotspot. 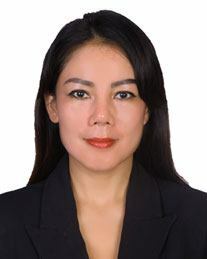 This is without a doubt the best value vacant land lot currently on my books on either Nusa Lembongan or Nusa Ceningan. 617m2 of prime Lembongan real estate located on the Jungut Batu Hill and just 32 metres to the beach edge from the western boundary of the land.Also from the front western boundary step directly onto the hill walkway that leads to the abundance of cocktail bars and restaurants which line the waterfront including The Deck, The Whiskey Bar and Muntigs 5 star restaurant at Batu Karang.A little further on is Coconuts Beach and Playgrounds/Lacerations surf breaks. Beautiful views through the trees of the crystal blue ocean and at the right time of the year the sunsets as well. From the eastern end of the lot a great view of the impressive and imposing Mt Agung and out over the Jungut Batu Village also. Perfect site for a big 2 level luxury villa or even 2 side by side villas given the lot is wider than it is deep (approximately 30m x 20m). Just as perfect for a collection of boutique pavilion rooms with plunge pools over split levels and either way the income earning potential from the high nightly rent/excellent occupancy levels that Lembongan now demands is huge. Offered on a freehold basis, all documents/certificate 100% in place and with a very recent survey of the land completed by the owner. For more information or to schedule an inspection of the property please contact Peter at peter@ppbali.com or on Indonesian mobile number +61 (0) 405 552 832 or on Australian mobile number +61 (0) 405 552 832 (Whatsapp). Office located at Panorama Point, Nusa Lembongan next to the Panorama Restaurant. Neighbourhood: Jungut Batu Village,Batu Karang,Panorama Point. Nearest amenities: Jungut Batu Beach,Batu Karang Resort,Coconuts Beach,Playgrounds Surfbreak,Hospital. Premium Waterfront Vacant Land 4 Lot Subdivision On Nusa Cenigan – Number 1 Location On the Island. 2360m2 Of Premium Absolute Beachfront Land In The Exclusive Tamarind Bay Nusa Lembongan.